Melissa Spoelstra is a popular women’s conference speaker, Bible teacher, and writer who is madly in love with Jesus and passionate about helping women of all ages to seek Christ and know Him more intimately through serious Bible study. She holds a Bachelor of Arts in Bible Theology and enjoys teaching God's Word to diverse groups and churches within the body of Christ. 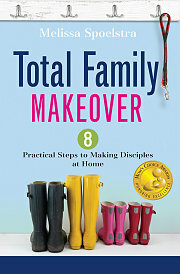 She is the author of the First Corinthians: Living Love When We Disagree, Joseph: The Journey to Forgiveness, and Jeremiah: Daring to Hope in an Unstable World Bible studies and the Mom's Choice Award-winning Total Family Makeover: 8 Steps to Making Disciples at Home book. 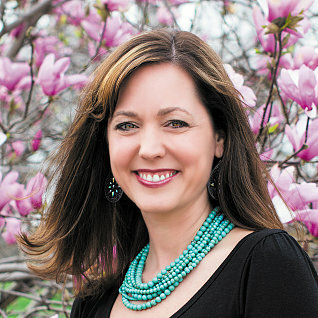 She lives in Dublin, Ohio, with her pastor husband and four kids. 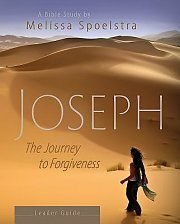 To keep up with Melissa Spoelstra, visit melissaspoelstra.com, and follow her on Facebook (AuthorMelissaSpolestra) and Twitter (@MelSpoelstra). We know that there's nothing better than being able to sample the content of a good book and Bible study when deciding on if it's the right fit for you and/or your Bible study group. Because we know that you're going to love Melissa and her gift for Bible teaching and sharing about the Christian walk, we're supplying you with a selection of sample chapters and study segments to allow you to start digging in. Enjoy, and be sure to share these with others you may think would appreciate them too! * Winner of Mom's Choice Award Gold Seal! In this six-week study you'll explore how to show love when you disagree without compromising your convictions. 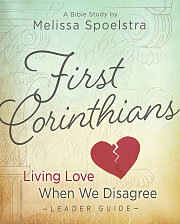 To follow is a sample from the Participant Workbook, an inside look at Melissa's study on First Corinthians, followed by a full sample of the first DVD session. 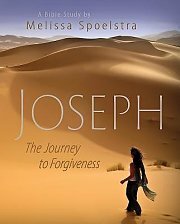 In her Bible study Joseph: The Journey to Forgiveness, Melissa points us towards finding freedom through forgiveness with God as our guide. 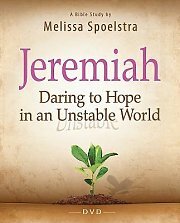 In her Bible study Jeremiah, Melissa brings us on a journey to learn how to surrender to God’s will and rest your hope in Him alone. To follow is a sample from the Participant Workbook, an informational video about the study, followed by a link to a clip from each of the six weekly DVD sessions.